Set locally at the Columbia River and the Kettle Falls, Peone’s powerful descriptions of landscape and life cause the reader to experience the story in every way. One can feel the cold, the hard ground, the thrill and the agonies of horse racing, the fury of a poor loser. The tenderness between brother and sister, tension between father and daughter and the fierce bond between a girl and her horses are palpable. Characters wrestle with issues of willfulness, pride and desires for winning, ultimately learning some lessons about faith and forgiveness. Carmen Peone’s own passion for horses and her spiritual beliefs give the story a strong authenticity; she truly has Indian culture and storytelling in her soul. Spupaleena, a daring young native girl, goes against the customs of her people. 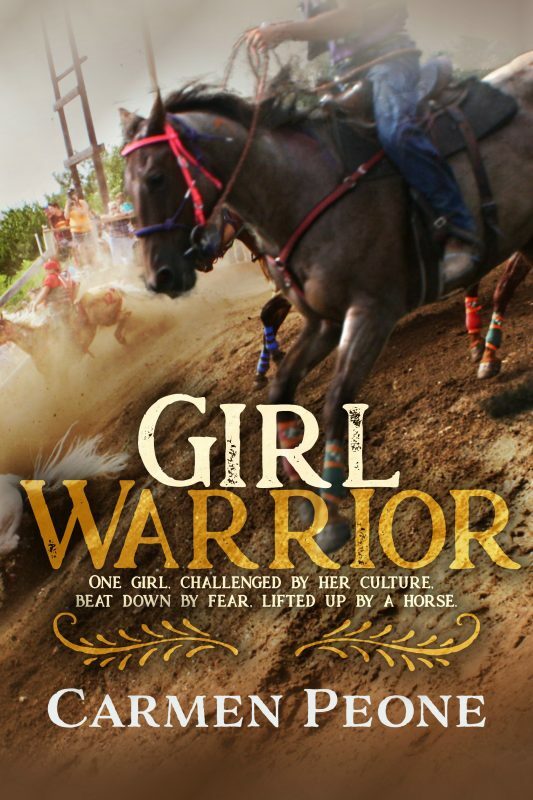 Instead of staying home in her father’s pit house doing women’s work, she challenges men in horse races, trusting in God to keep her safe while riding over hills and rough ground along the Columbia River. Young people will find the heart and courage of Spupaleena as gripping as ever. 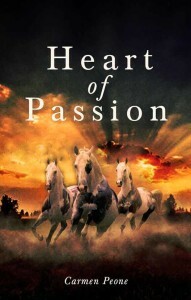 Heart of Passion is a great story of faith and determination. The richness of culture and language, the strength of faith, and the girl who fights for her dreams…Peone fans will not be disappointed. A young girl with a love of riding and a passion for racing. Revenge, anger, guilt and jealousy. All these are ingredients for a novel of courage and determination. Spupaleena’s dreams go against the “Indian way,” the “women’s way”—on the sidelines, watching. Girls just don’t race horses, and they don’t compete against men! But the strong-willed, faith-filled girl refuses to give in to family and friends’ pressure, to risk and injury, to sabotage and fear of retaliation. She will race. And she WILL win. Heart of Passion is the third in a series of familyoriented stories that show the author’s love for horses, for the Indian culture, and for her God. I am honored to know Carmen and thank her for sharing her gift of writing, knowledge, courage and ever present love for God. She takes you through a series of passages which includes the culture and language of our reservation. While reading this book I feel a strong connection. This book will stay in my heart forever. —Luana Boyd, Colville Business Council of the Colville Confederated Tribes.